U.S. Defense Secretary says a military confrontation between Israel and Iran in Syria is becoming increasing likely. 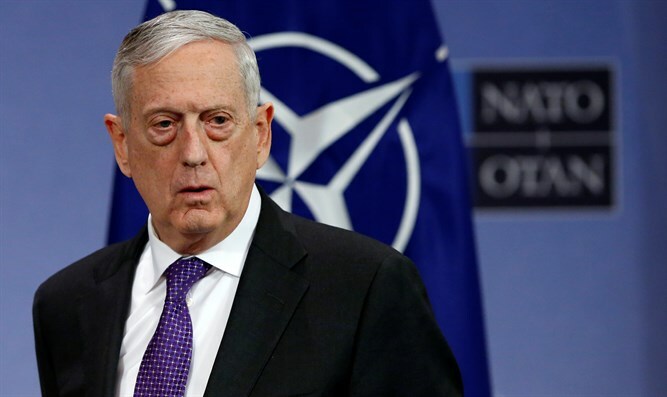 U.S. Defense Secretary James Mattis warned on Thursday that a military confrontation between Israel and Iran in Syria is becoming increasing likely. "I think that it's very likely in Syria because Iran continues to do its proxy work there through Hezbollah,” said Mattis, who accused Iran of not only expanding and strengthening its presence in Syria but also “bringing advanced weapons for Hezbollah through Syria”. Earlier this month, an air strike hit the T-4 airbase in Homs, Syria, killing several Iranian soldiers and officers. Iran has threatened to attack Israel in response to the air strike. Earlier on Thursday, Defense Minister Avigdor Liberman warned of a possible confrontation with Iran.